On Sunday R and I went for our 1st Kitchen Date. We signed up for a couple cooking class at ToTTs. On the Menu were Mushroom Risotto, Nutless Brownies, Classic Eggs Benedict, Classic Hollandaise Sauce and Rocket Wrapped with Parma Ham. This was one of the most tiring dish which I made that day. The constant stirring and pouring of chicken broth was exhausting. 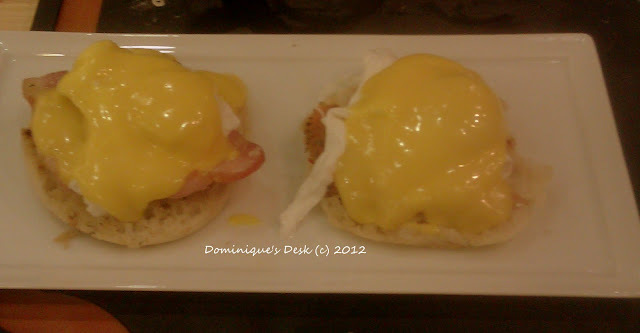 Eggs Benedict with the Hollandaise sauce. It was a fun class and both R and I enjoyed ourselves. Am looking forward to more of such activities together. How fun! The food looks delicious too! looks like you guys had a great time… and the food looks great. 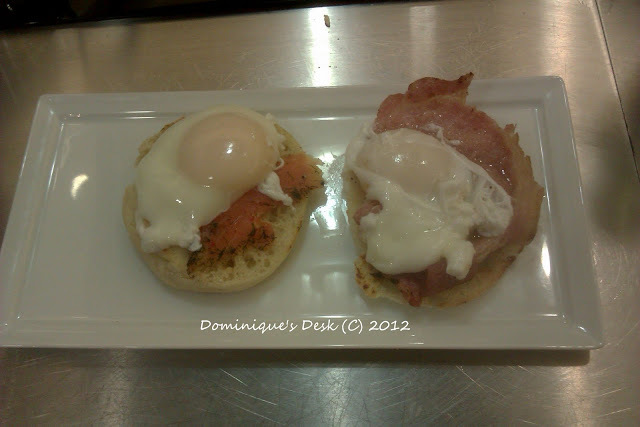 I never thought of Eggs Benedict over salmon but I bet that’s really good! 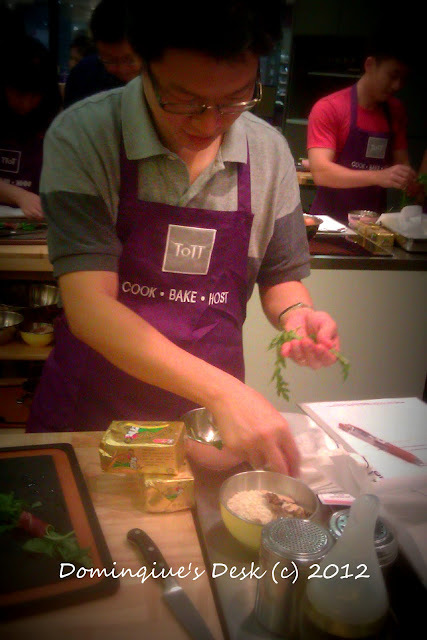 I’ve never taken a cooking class before but what a great way to spend with a loved one cooking together. Oh that looks like so much fun! I would love to do that with my hubby 🙂 Those pictures made me hungry lol. Thanks for linking up! How fun. I need to do that. 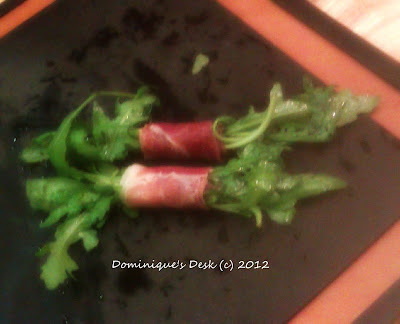 My nephew and his wife took a couple cooking class and totally loved it. He was surprised to discover that almost everything had onions in it. ooh that is just soo sweet and fun! Wow! that food looks delicious! what a lovely date! 🙂 and the food look real good! 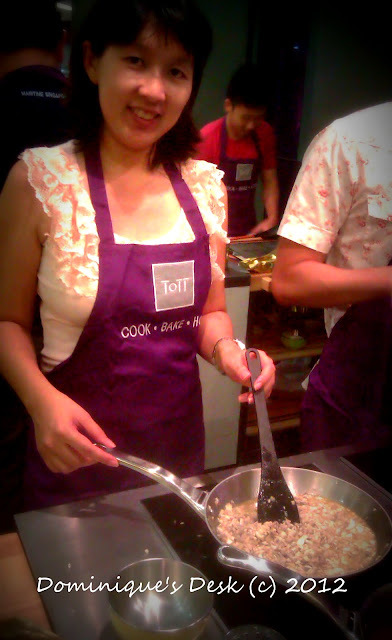 Cooking classes are fun! The food looks delicious!